In a nondescript section of the Salt Lake City Cemetery lies a small gravestone that bears an inscription so unusual that it has for years aroused curiosity, rumor, speculation—even fear—within those who have encountered it. 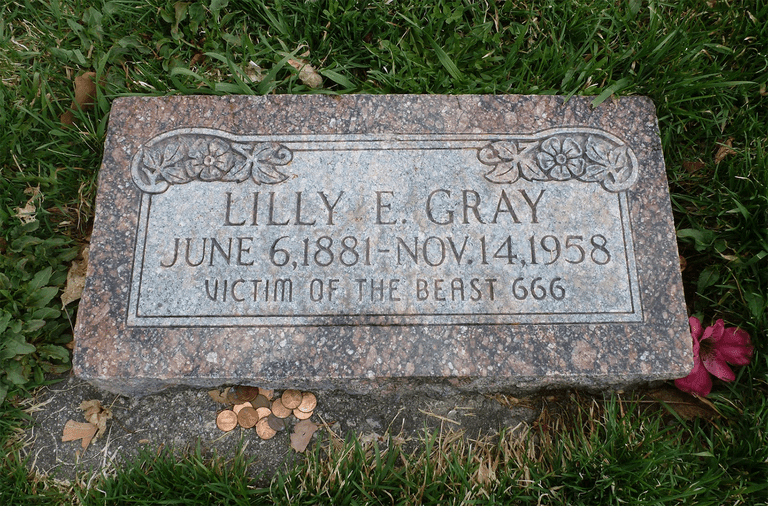 While surrounding grave markers are inscribed with such common inscriptions as "devoted mother," "beloved husband" or simply "in loving memory," the gravestone of Lily E. Gray is inscribed with the mysterious and highly provocative phrase: "Victim of the Beast 666." And I beheld another beast coming up out of the earth; and he had two horns like a lamb, and he spake as a dragon.... And he causeth all, both small and great, rich and poor, free and bond, to receive a mark in their right hand, or in their foreheads: And that no man might buy or sell, save he that had the mark, or the name of the beast, or the number of his name. Here is wisdom. Let him that hath understanding count the number of the beast: for it is the number of a man; and his number is six hundred threescore and six . "The Beast" and "666" have henceforth become synonymous with Satan and the Antichrist. Why, then, when other gravestones are inscribed with loving tributes, is Lily Gray's engraved with this dark, enigmatic message? What does it mean? In what way was she a victim of the Beast? Who chose this unnerving inscription for her eternal resting place? These questions and more have been the crux of the mystery surrounding Lily Gray's grave for decades in Salt Lake City. No one seems to know what it means. And few have bothered to investigate to find out. No one has done more to try to unravel the mystery, perhaps, than Richelle Hawks. A long-time resident of Salt Lake, Richelle has dug deeper than anyone to find out what the inscription might mean. 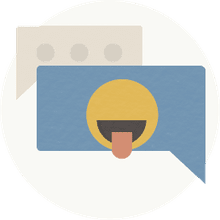 "Salt Lake City is home of the massive LDS (Latter-day Saints)-operated Family History Library, and the world's genealogical research mecca," says Richelle on her Cemetery Legends website. "Since the stone's erection in 1958, no one has dug deep enough to uncover even a minimal account of Lily Gray's life and the origins of the inscription. When confronted with apparent true lunacy, evil, religious fervor, abuse, or implausible as it may be, ultimate victimhood at the hands of Satan (as the stone literally implies) do we collectively turn our heads?" Scouring the Internet and local records, Richelle has uncovered several fascinating clues about the meaning of the inscription. But her research has also produced additional mysteries. The engraving on the stone, for example, is inaccurate. "There are several discrepancies between the information on her gravemarker and the information contained in records," Richelle says. "Although I am relying on Internet sources for the obituary information regarding the spelling of her name and her birth date, the cemetery sexton's records confirm the single 'L' in her first name, and the birth date of June 4, 1880, opposed to the stone's version of June 6, 1881." How is it that Lily's name was incorrectly spelled "Lilly" on the gravestone? Simply an engraver's error? But what about the birth date? Was it purposely changed from June 4 to June 6 to reinforce the 666 reference? Lily's brief obituary cites her death at age 77 (or 78, depending on which birth date is correct) from "natural causes." So there doesn't seem to have been any foul play in her victimhood, at least that directly caused her death. So how was poor Lily a "victim of the Beast"? In fact, who says she was? Who requested that epitaph? Was it Lily herself? Her husband, Elmer? Other members of her family or friends? Richelle has discovered interesting information about Elmer Gray and his background that may yield clues about his nature and his relationship with Lily. Although these records suggest that Elmer Gray (if it is the same man) was only a petty criminal, could he be the “beast” to whom Lily fell victim? Interestingly, Elmer’s grave can be found in the same cemetery – but in a plot far from his wife’s. According to Keisler, the evening primrose has several meanings when used on tombstones, including eternal love, youth, memory, hope, and sadness. Perhaps, however, more symbolism can be construed from the primrose’s nickname: Devil's lantern. The probe into the meaning behind “Victim of the Beast 666” is far from over. In fact, although she has had more success than any other researcher into this mystery, Richelle believes she has only scratched the surface. Research into this case has proved difficult, but she is certain that someone out there must have some insight about the inscription – family members, people who knew the couple, neighbors, employers. Finding the truth will, perhaps, establish finally that Lily was not a victim of the Beast at all, but only of a notorious and cruel epitaph. If she was a victim in life, we’re sure she now rests in peace. Who Were the Victims in the Salem Witch Craze?